Summer’s coming! Browse our provider reviews and shop now for the cheapest electricity rates in Dallas! If you’re looking for the cheapest electricity in Dallas, then you’re in luck. While EROCT predicts another summer of record-setting demands on the energy grid, you can still find low rates now as summer approaches. But before you make the switch to a new energy provider in Dallas, you should know how to find the cheapest rates in Texas. Where Can I Find the Cheapest Electricity in Dallas? On the TER website, you can organize the plans by the price. Just click on the Price column and the page will automatically sort the cheapest electricity rates for Oncor customers. Make sure you fit the plan to your house size on the right by adjusting the bar. Some plans are better suited to smaller households, others are better for larger houses. To make sure you get the cheapest electricity for your household, adjust the bar to reflect your monthly usage. Then see which plans work for you. What Are Fixed-Rate Electricity Plans in Texas? You can find several different types of electricity plans from providers in Texas. Some people shop for cheap termination fee electricity, others are looking for a cheap renewable option in Dallas. One other type of common energy plan is fixed-rate energy plans. These plans lock in a low, fixed rate for a specified contract length. While 12-month, fixed-rate plans are the most common, you can also find 24- and 36- month plans. And depending on the time of year, energy providers sometimes offer 3-, 6-, and 9- month fixed rate plans. However, these usually aren’t available all year. How Do I Compare Electricity Rates? Having the power to choose in Texas opens the doors to find the cheapest electricity rates for your household. However, with so many options, it can be overwhelming to go through and find the best energy plan for your home. That’s why TER works hard to make it easy for you. Visit www.texaselectricityratings.com and put your zip code into the search bar. Then click, ‘Shop for Rates”. TER will populate a list of plans in your area. Next, you can simply sort out the plans by Plan, Company Rating, Length of Contract, Price, and House Size (usage). Clicking on the plan type will bring up a quick overview for you. You’ll see the average energy rates at 500, 1000, and 2000 kWh of use along with the contract length, any recurring charges, and an early termination fee if there is one. TER gives you all the information you need to compare energy providers. You can analyze the rates, find the Terms of Service, and read the plan’s Electricity Facts Label (EFL) to learn important details. Make sure you read the EFL of any plan you’re considering so you know it’s right for you. 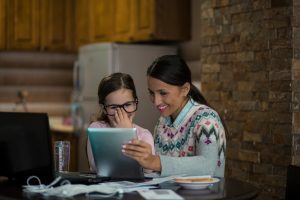 How Can I Switch Dallas Electricity Providers? Switching energy providers in Texas is easy. After comparing plans, find the one that best serves your energy needs. Once you find the right one, simply click, “sign up now” to switch to a new plan. Then follow the steps, filling out the forms until you’re finished. It is that easy. To get started shopping for and switching to the cheapest energy plans in Dallas, visit our website.